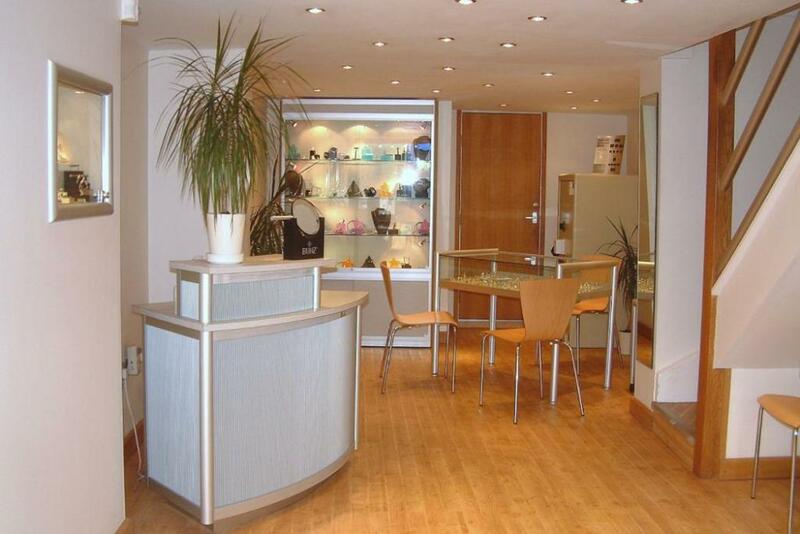 Aurum designer-jewellers are jewellery designers & makers based in Worthing, West Sussex. We create unique contemporary jewellery to celebrate any occasion & specialise in bespoke jewellery in platinum, gold & palladium, with diamonds & other precious gemstones. 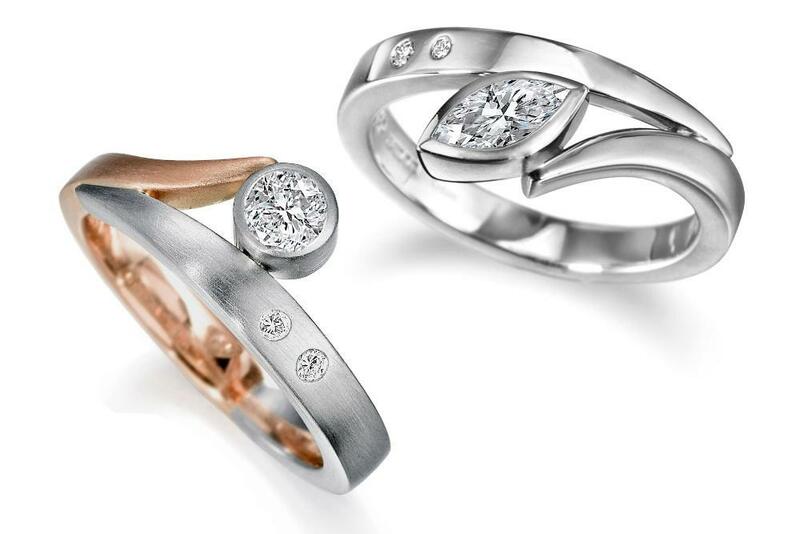 Bespoke engagement rings are a large part of our work. Design your own engagement ring with the help of one the goldsmiths from our on-site workshop. We make bespoke handmade wedding rings including fitted wedding rings, designed specifically to sit perfectly next to your own engagement ring. We also make handmade jewellery of all kinds, especially handmade wedding rings & diamond wedding rings for men & women . If your engagement ring has small diamonds in the band we can match these for size, colour & cut. As well as making new pieces we also undertake jewellery remodelling. If you have jewellery you never wear, we can redesign it into pieces. We offer a free design-consultation to discuss ideas with one of our craftsmen. Special jewellery for special occasions We design and make beautiful contemporary jewellery to mark those important moments in Life. Discuss your requirements with one of our highly-skilled goldsmiths. Jewellery Remodelling: New designer jewellery from old Are you considering selling scrap gold to one of those companies offering Cash For Gold? 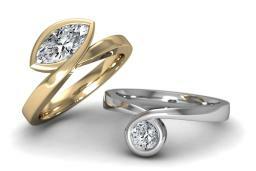 Before you sell those unwanted items, have you considered having your gold remodelled into new jewellery? Redesigning old jewellery with sentimental value, means you don't have to leave it languishing in a drawer. Maybe you can't wear those pieces in their current form, but we can turn your gold into jewellery that you want to wear! If your jewellery contains diamonds or other gems, we can set them into new items of jewellery. If you have all the material needed to make an item, you'll only need to pay for our time. Any leftover gold can go towards our labour costs! Contemporary Jewellery Alongside our own designs we also carry jewellery by quality uk jewellery designers. 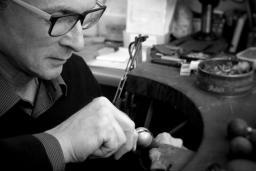 We don't undertake general repairs in-house, except to jewellery that we have made. However, we do take in all sorts of jewellery repairs and pass them to a suitable specialist jewellery repairer. We have contacts throughout the UK who are able to tackle any jewellery repair we come across. Deal direct with a craftsman Clients deal direct with one of our skilled goldsmiths, and can have as much creative input as they wish in the design of their jewellery. Come for a free design consultation. Our jewellery is designed and made in our own workshop Our jewellery is individually designed and handmade in our own on-site workshop, above our showroom. When you commission a piece of bespoke jewellery you deal direct with one of our highly-skilled goldsmiths, and it will usually this same person who will create your item for you. Unique engagement rings created just for you Proposing with a unique engagement ring that you had specially made says so much more than buying a mass-produced ring from the high street! Birthstone Jewellery created just for you We make bespoke jewellery of all kinds, including pieces featuring birthstones. 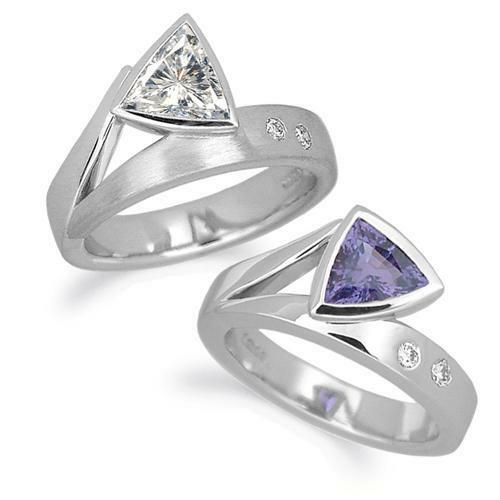 Some items will have just one birthstone, whilst others are designed with the birthstones of the whole family. You can have a hand in the design of your own unique piece. Often a new father will commission a piece as a gift for the mother featuring the baby's birthstone. 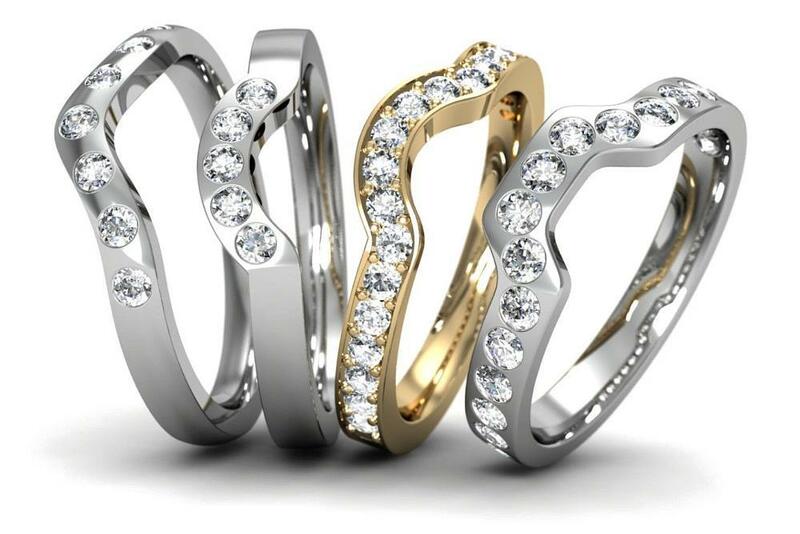 Men's Wedding Rings We design and make wedding rings for both men and women. Men's wedding rings often receive harder wear than women's rings. Some men do manual jobs, and many get involved in "heavy-duty" activities in their spare time, and on the whole, men are less careful with their rings. We need to consider this when designing the ring. Where a ring is likely to receive knocks and scratches that will be obvious on a plain band, it is worth considering a surface finish that will not show the marks. We offer a wide range of textures and finishes that appeal particularly to men. Talk to us about some possibilities!